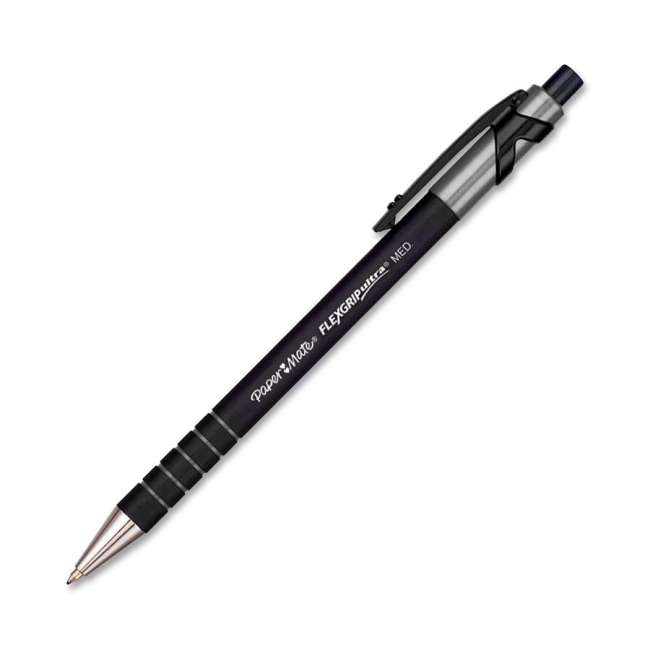 Retractable pen features a comfortable rubberized barrel with soft grip rings for secure handling. Lubriglide ink provides smooth writing and bold vivid lines. Retractable click-advance protects pockets and purses. Refillable.